The capital city of Hungary, Budapest is a gem of a place, rich in culture and history. If you’re thinking about paying a visit then you’re in for a treat. It’s a big, old city and you’re probably wondering where to stay in Budapest. Allow us to tell you a little more about the fascinating areas of Budapest so you can make up your mind. There are a ton of hotels in Budapest and one is sure to fit your travel style. Budapest is split in two by the River Danube, you will find the district of Buda on one side and Pest sitting on the other, conveniently connected by the Chain Bridge. Although very much together now, Buda and Pest were once two distinct cities in their own right, joining as one in 1873. 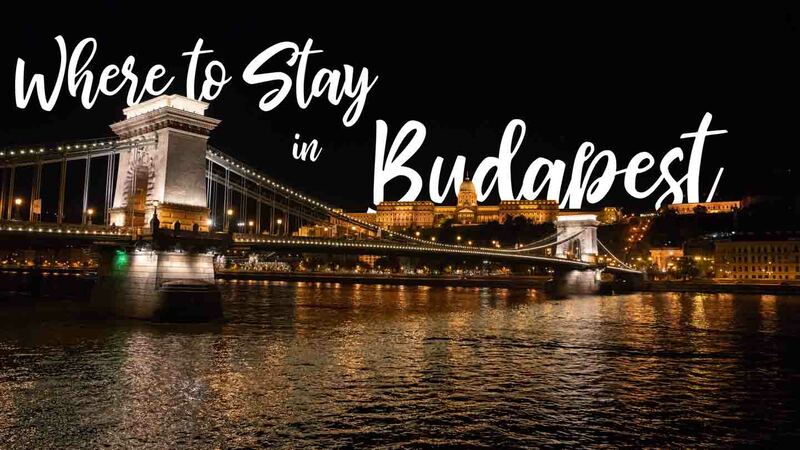 Should You Stay in Buda or Pest? Despite their unity, the two districts are still very different. If you’re seeking a serene ambiance, a chilled-out vibe, and a pretty backdrop, then Buda (situated on the west bank of the Danube) is the place for you. Culture and history buffs will be in their element here with the charming Buda Castle, impressive Fisherman’s Bastion, and the striking Liberation Monument all worth the visit. In comparison Pest (situated on the east bank) has energy and a spirited feel that will wake you up and fill you with zing. Here you will find the heart of the business and commercial district. Pest is also home to a bustling nightlife in Budapest. From eateries to bars and clubs, this is the place to be if you want to party. If you’ve ever heard of the famous ruin bars in Budapest you’ll find them here on the Pest side. Both Buda and Pest have their pros and cons and it can be tough to decide where to stay in Budapest. Let’s dive a little deeper and go into more detail about the neighborhoods in Budapest. Budapest has a very efficient public transport system, so when you’ve made your mind up where to stay in Budapest you should be able to get from A to B easily enough and without breaking the bank. Hop on the Metro, also known as the Millennium Underground Railway, which is the second oldest in the world. Alternatively, ride on a tram or jump on a train. Or, if you fancy getting some fresh air into your lungs, then why not join the locals and walk around the city? Walking is a great way to leisurely see the Budapest attractions and take the time to really soak up the atmosphere. Situated in the Buda district, alongside the west bank of the Danube, Budapest I is filled with history. It’s known as the Castle District and it’s very pretty. As the name suggests, it’s home to the Buda Castle, which is sometimes called the Royal Palace or the Royal Castle. This impressive Baroque castle was first completed in 1265. However, the bulk of the current site was added in 1749 and 1769. If you ask us it’s one of the best castles in Europe. If you choose to stay in this area, you can also visit St. Matthias Church and take a bracing stroll up Gellért Hill, a 235m high hill offering great views on the Danube. The hill took its name from Saint Gerard who was hurled from the top and died. While in Budapest you should also take a relaxing dip in the Rudas Baths which are known for their medicinal and soothing qualities, and for panoramic views head to the fairytale-like towers of Fisherman’s Bastion. The relaxed atmosphere of the Castle District will best suit you if you enjoy exploring, visiting cultural sites and sitting back to enjoy a stunning view. Couples and families will feel right at home here, but if you’re with a group and looking for a loud and lively time you might be disappointed. For that, you need to go over to the other side, to the vibrant district of Pest. If you’ve been pondering where to stay in Budapest and have decided you prefer a hotel that oozes class, then Budapest V (also called Belvaros or 5th district) will be high on your list. Belvaros lies across the Danube from the Castle District and has the same historical feel. It’s attractive (some would go so far as to say that this is the prettiest district in Budapest) and there’s a treasure trove of ancient buildings. Pay a visit to a striking and renowned landmark: the Parliament Building, also known as the Parliament of Budapest. It’s located on the banks of the Danube in Lajos Kossuth Square and is a tourist hot-spot. There’s also Great Market Hall and St. Stephen’s Basilica, a Roman Catholic basilica that takes its name from the very first King of Hungary, King Stephen. Stroll over the most well-used bridge in Budapest, Chain Bridge, or as it’s officially known, Széchenyi Chain Bridge. You can also cross the shortest bridge crossing the Danube, the green-painted Liberty Bridge, also known as Freedom Bridge. If you’re interested in architecture, take a stroll around Szabadsaq Square (Liberty Square), where you will find residential and business buildings sitting happily next to one another, some of which are great examples of Art Nouveau. Belvaros is a great base for all. It has a lively feel, with plenty of shopping and dining opportunities, but it can be pricey here. Despite its vibrant atmosphere, this is one of the quieter districts in Pest when night falls. Just north of Budapest V is the district of Budapest VI (6th), also known as Trerezvaros. It’s home to the grand State Opera House, which sits proudly on Andrassy ut, a vast street lined with beautiful trees. While visiting, you must pay a visit to Heroes Square, also known as Hősök tere: it’s renowned for its iconic statue which depicts the seven chieftains of the Magyars, and notable Hungarian national leaders. This is also the resting place of the of the Unknown Soldier. If you’re feeling brave, you should also check out the House of Terror Museum, located at Andrássy út 60. This thought-provoking museum is full of exhibits linked to the past fascist and communist regimes of Hungary. Not a place for the squeamish, your mind will no doubt wander to the victims, the poor souls who were arrested, tortured and killed within the building. It’s rather chilling but compelling nonetheless. Moving onto lighter and brighter attractions in the area, this district also has an eclectic mix of majestic hotels and small and quirky bars. The blend of styles gives Terezvaros a sprightly feel which attracts visitors from all walks of life. It can be loud and lively by day and night, so if you’re looking for a quiet neighborhood in Budapest with peace and quiet, this won’t be for you. Accommodation wise, this place offers ample choice if you’re trying to decide where to stay in Budapest. You can take your pick, from the cheap and cheerful to the extravagant (and expensive). In the Southern area of Pest, Budapest VII (7th) is often referred to as the Jewish quarter and is home to the second largest synagogue in the world, not to mention traditional delis selling kosher fare. It may be big on culture, but 7th has another side to it: it’s also a complete party animal of a district. Visitors come here to drink in the renowned Ruin Pubs of Budapest, to dine at the bustling restaurants, and to browse in the on-trend stores. It’s not for shrinking violets, so if you prefer to stay in a place that offers a calm and relaxing ambiance, avoid this place at all costs. However, if you’re seeking entertainment, great food and plenty of opportunities for a drink or seven, and you want to end your day laden with shopping bags, then please step this way. There’s some great accommodation here, but take care when you’re choosing where to say in Budapest VII – noise pollution could be a problem. Those busy bars might disturb your shuteye if you end up staying in a hotel right in the heart of it all. Made up of the outer and inner areas, the 8th district has a split personality. Outer 8th has an unpolished feel and would benefit from a little investment, which may well happen at some point in the future, as other areas nearby have been given makeovers. The inner area is a totally different story. Known as the Palace District, you can wander around the National Museum and the National History Museum, and you can find out exactly how the district got its nickname. Here’s a clue, there’s the Gróf Festetics Palace, Degenfeld-Schonburg Palace, Törley Palace, Gróf Károlyi Alajos Palace, Pálffy Palace, Wenckheim Palace and Almássy Palace (House of Hungarian Architects). That’s a lot of palaces, and each is worthy of a visit. Are you a fan of beer? Then get yourself along to Budapest IX (9th) which is also called the craft beer district. There are bars galore for you and lots of cafes too. Élesztőház is the center of the fun (and the craft beer movement). You won’t find this place rammed with tourists, as it’s frequented by locals, but they will make you very welcome. 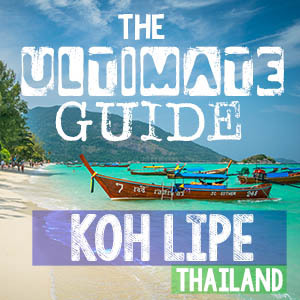 Due to its location (it’s slightly further away from the tourist hotspots), accommodation tends to be cheaper so you could find a bargain here. Aside from drinking beer, you can also pop along to the National Theatre, Trafo Arts Centre, a contemporary arts center with lots of exhibits, plenty of music and regular, and rather interesting, theatre performances. The Whale Building and Terrace (officially called Bálna) is also worth a visit. Located on the banks of the Danube River, it encompasses trade, culture and good food. The building gets its nickname from its aesthetic likeness to the ocean-going mammal and is visually stunning, with a striking shape and glass façade. Step inside and you can view the Danube, browse in the onsite shops, peruse the exhibits and grab a tasty bite to eat. A little gem amongst the hubbub of Pest, Budapest XIII (13th) is located in the north of the district and steals itself away from the typical Pest party scene. If you are looking for something calmer, this place has a quiet family feel. You can visit Margit Island, which lies in the Danube River between Buda and Pest and is a little sanctuary allowing you to escape from the daily grind. Stroll along the pedestrian promenade and amble around the parkland. You will spot an art nouveau water tower, pass by a 13th-century Dominican convent, and view a charming musical fountain. If you are feeling active, you can stretch your legs on the jogging track, and afterward ease those muscles with a dip in a thermal spa. In the summer you can listen to live music as you visit a pop-up bar or enjoy delicious food from a pop-up restaurant. There’s also the Budapest Pinball Museum, featuring over 100 pinball machines, some of which date back to the 19th century. You will also find state-of-the-art pinball machines from more recent times. While you’re here, take a walk around the Hungarian Railway Museum. It’s located at Budapest North Depot, a railway station and workshop of the Hungarian State Railways. There’s also the delightful Szent István park, a much-loved spot for locals and tourists alike. It sits on the banks of the Danube, and from here you can take in the impressive views of Margaret Island. The tranquillity and local feel of Buda or the vigor and vibrant undercurrent Pest? Still not sure where to stay in Budapest? That’s not a surprise when there’s so much choice. The good news is that wherever you choose, you are sure to have a great time, because “the pearl in the Danube,” as it’s sometimes referred to really is a beautiful city to behold.